What’s so special about [the item you used in the title]? Do you have an absolute favourite/s that you’ve gathered from the profession? Which ones, if any, are the bane of your existence? Show us pics illustrating those pieces, including an outfit if you use one. 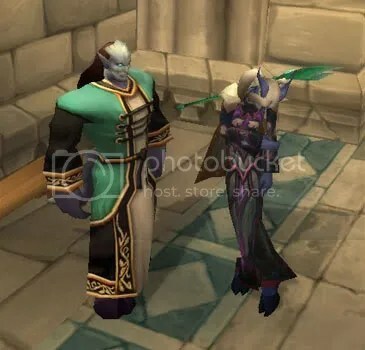 Kaprikka did Archaeology partly to boost her leveling speed and partly because I wanted to have a Queen Azshara’s Dressing Gown on my Alliance server. I’ll continue to do Archaeology with her in Outland, but she’ll probably quit after she’s found all the Draenei relics. 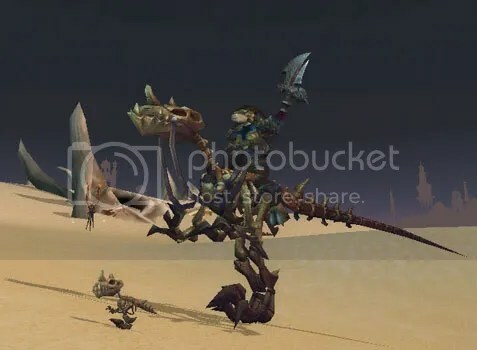 Ketura leveled Archaeology just until it yielded up the Fossilized Raptor for her collection of raptor mounts. It took a lot longer than I was expecting to find the darn thing, and Ketura gained about a dozen levels from it. Kamalia is my primary Archaeologist. 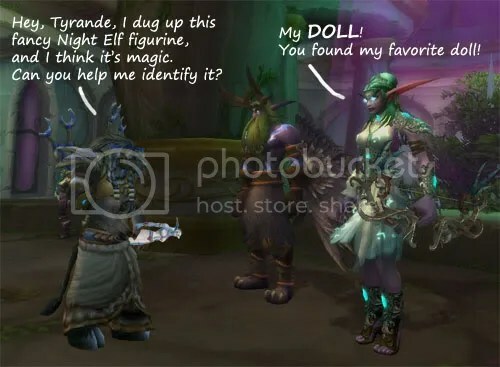 She labored long and hard to find Tyrande’s Favorite Doll because it was an excellent trinket for healers in early T11, and she used it through most of T11 and T12 after she finally assembled it. Kamalia’s favorite artifact, though, is probably the Last Relic of Argus. She always used it to leave the Molten Front after finishing her dailies there, and I have a big folder full of screenshots of all the places where it took her. I’ve also been to Narain Soothfancy’s house in Tanaris and to Moonglade, but I don’t have good screenshots from those locations. Overall, I think I’ve only gotten to about half of the places the Last Relic of Argus takes you — Cymre has a complete list. Kamalia stopped doing Archaeology for a while after she finally found TFD. She didn’t pick it up again for another several months, when she needed something to do while she was on Standby on raid night. Then, she dug in Outland and Northrend until she’d found all of the Orc, Draenei, Vrykul, and Nerubian artifacts. In doing so, she also completed the requirements for her “Professor” title. Since she accomplished that goal, she hasn’t done any more Archaeology. She needs to start working on it again, though, because I’d really like to get her “old world” Archaeology to the point where all she has left to find are the most difficult rares before Mists comes along and gives her a whole new continent to dig on. She’s only completely finished with Outland, Northrend, and the Night Elves. She still needs to find a few Fossil and Troll rares, most of the Tol’vir rares, and just about everything Dwarven — so she’s still got a lot of digging to do! LOL I love the doll you added in the actual pics 🙂 I know how you feel about getting good shots (or even the last locations) for the relic. 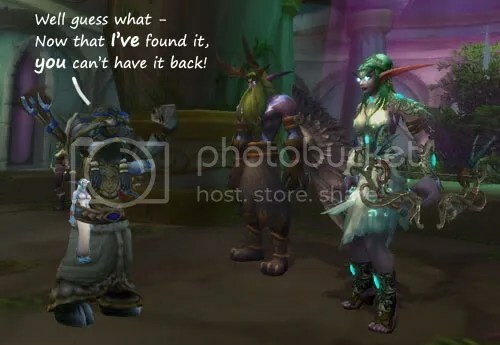 See if Malfurion was a proper husband, he’d have got the doll back!